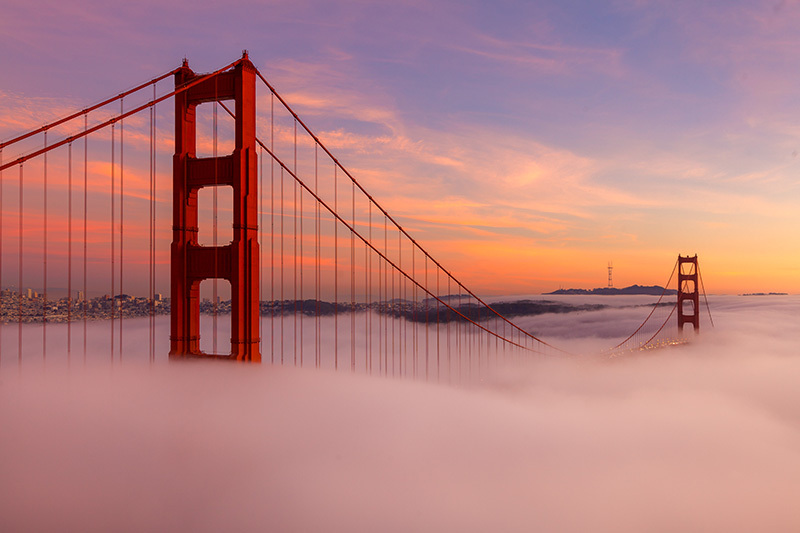 San Francisco offers visitors a wide array of entertainment and touring options. Many of the city’s landmarks are well known throughout the world and many have become symbols of California and the American West. What’s more is that many of the iconic locations can be explored on foot or by bicycle – the city is very eco-friendly and is accommodating to cyclists. 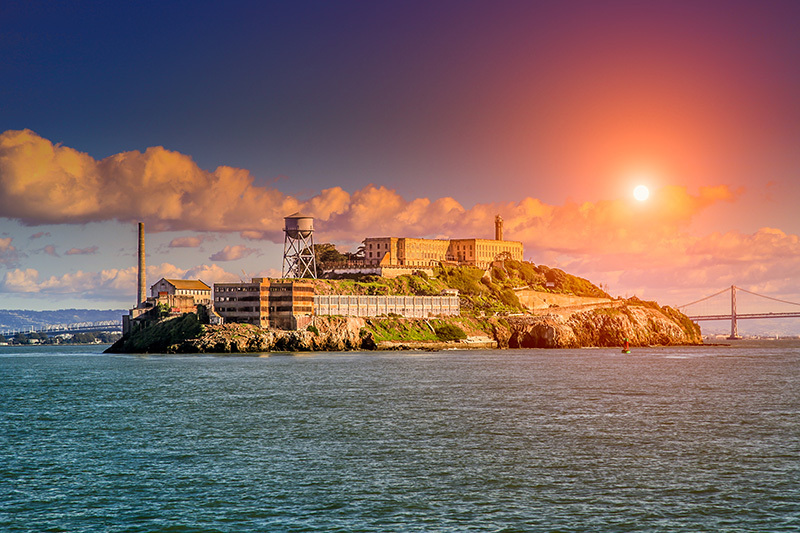 America’s most infamous prison, Alcatraz Island was previously a prison which, when in operation, housed some of the countries most notorious criminals. The location is now a major tourist attraction in the city, requiring ferry to arrive. Tours of the island are held daily where visitors can get an understanding of what life was like at one of America’s maximum security prisons. Located near the financial district, Union Square offers shopping, dining and entertainment and is centrally located near many of the cities hotels. The location also plays host regularly to art exhibits and events celebrating San Francisco’s vibrant heritage. Quite possibly the most famous bridge in the world, the Golden Gate Bridge connects San Francisco to neighbouring Marin County Spanning a length of 1 mile, visitors can use one of several lanes to either walk across or take a bicycle to experience spanning views of San Francisco and the San Francisco Bay. Nearby locations at each end of the bridge allow for photography of the full bridge span, allowing the bridge to become the most photographed in the world. 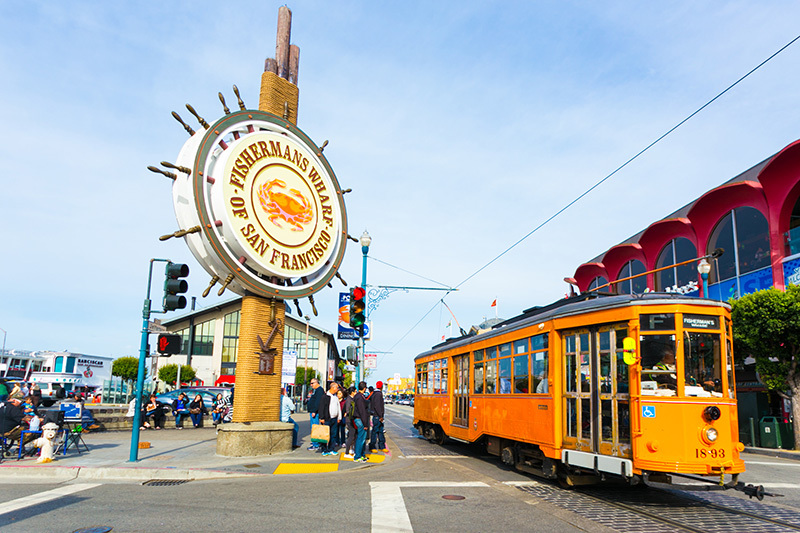 The city’s most popular tourist area, Fisherman’s Wharf is full of restaurants, bars and shopping venues. It is most famous for its fresh fish and crab, as well as clam chowder and bread bowls which are a staple of San Francisco street food culture. For a unique experience, head to the end of the wharf where sea lions regularly congregate and sun themselves in front of tourists.